Home buyers in southwest Florida who want to be near all of the amenities of the larger metropolitan areas but enjoy a smaller, coastal city feel should look no further than Bonita Springs. This charming community offers a stunning natural landscape and many excellent amenities for its residents, while being nestled between the Fort Myers area and Naples. The city of Bonita Springs, with a population just under 48,000, takes great pride in its community. The beautiful, historic downtown has a diverse array of dining and retail options. There are endless recreational facilities for residents to enjoy. With excellent local schools, a wide variety of housing options, and strong local economy, Bonita Springs is the perfect community to call home! Enjoy an active lifestyle all year round in Bonita Springs! No matter how you love to spend time in the Florida sunshine and stay active, you will find an incredible facility for you and your family. The Bonita Springs Parks and Recreation Department manages and operates 20 Parks and Facilities throughout the community. These parks offer a wide range of amenities including athletic fields, athletic courts, natural habitat areas, walking and biking trails, playgrounds, a disc golf course, a community pool, dog park, skate park, and so much more! The stunning natural landscape of southwest Florida is at your fingertips in Bonita Springs. 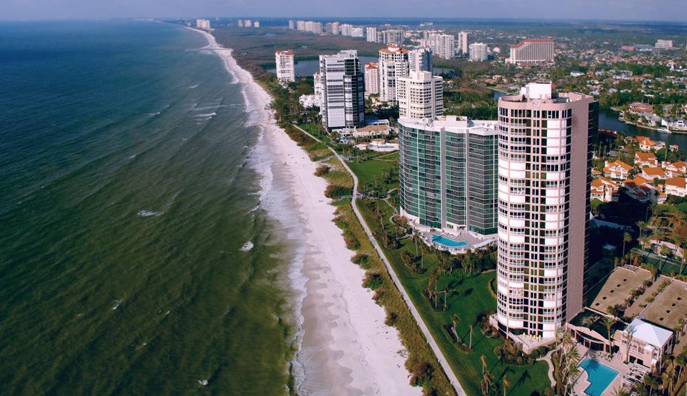 Bonita Beach provides miles of sandy shores along the crystal blue waters of the Gulf of Mexico. Visitors to this beach enjoy swimming, kayaking, windsurfing, snorkeling, and even the occasional dolphin sighting! Other favorite spots in Bonita Springs include Barefoot Beach Preserve County Park (505 Barefoot Beach Boulevard) and Lovers Key State Park (8700 Estero Boulevard, Fort Myers Beach). Both of these stunning parks are located on the beach and are stunningly beautiful all year round. Do you like to hit the greens? There are 10+ Golf Courses in Bonita Springs and over 100 in the surrounding area, ensuring you have ample time to work on your swing! 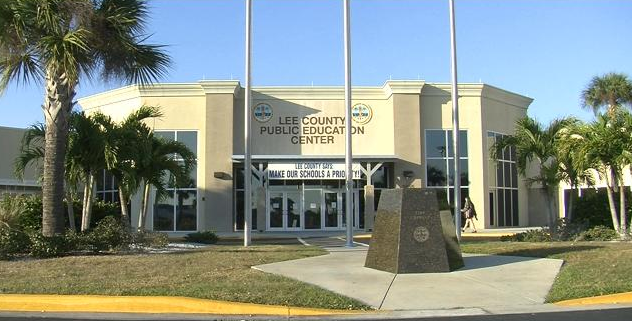 Lee County School District operates public schools within Bonita Springs and the wider Fort Myers metropolitan area. The district offers Choice Zones to provide residents with a variety of school options close to where they live. Bonita Springs students attend schools within the city limits as well as in the neighboring communities of Estero and Lehigh Acres. There are 4 public schools located within Bonita Springs. Children in prekindergarten through 5th grade can attend Bonita Springs Elementary School (10701 Dean Street Southeast) and Spring Creek Elementary School (25571 Elementary Way). Bonita Springs Center for the Arts (10141 West Terry Street) educates students in 6th through 8th grades. Bonita Springs Charter School (25380 Bernwood Drive) is a kindergarten through 8th grade public charter school. The majority of Bonita Springs students in grades 9th and 12th attend Bonita Springs High School (12811 Bode Boulevard) in nearby Estero. These schools and the other ones in Lee County School District are dedicated to providing excellent academic and extracurricular opportunities for their students. There are many excellent medical facilities in Bonita Springs and the surrounding area. Several clinics offer family medical services and/or urgent care for non-emergency illnesses and injuries, such as Bonita Community Health Center (3501 Health Center Boulevard), Family Health Centers of Southwest Florida Bonita Springs (11921 Saradrienne Lane), and NCH Healthcare Bonita (3302 Bonita Beach Road Southeast). Physicians Regional - Bonita Springs (24231 Walden Center Drive) offers a variety of services, including internal medicine and orthopedics. For residents in need of more long term care of emergency services, NCH North Naples Hospital (11190 Health Park Boulevard) is located just south of the city in neighboring Naples. Commuting throughout southwest Florida is a breeze for Bonita Springs residents. Both US Route 41 and Interstate 75 run through the city and connect Bonita Springs to other communities in the region, including Fort Myers, Naples, and Miami. Domestic and international flights are offered daily out of Southwest Florida International Airport (11000 Terminal Access Road, Fort Myers), which is less than 20 miles from Bonita Springs.